Lawns are known to enhance your quality of life and your property’s value, research also indicates that lawns work as natural filters to reduce noise and air pollution. It might be heartbreaking to see your good-looking yard being affected by some disease, which might spoil its appearance and future growth. It is recommended that you find the root cause of these disorders and find a working solution before it’s too late. One possible reason for grass to turn brown might be the lack of water or nutrients in the soil. Fortunately, there are a lot of ways to repair the unsightly bare spots, a few simple measures and precautions is all you need to make your lawn look green and fresh. 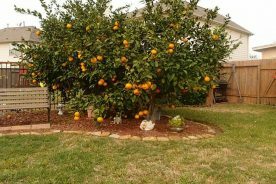 Bare spots are not a pleasant site for your eyes, when you might have done almost everything right from providing the best fertilizers to irrigation systems. However, there’s an equal share of causes to blame humans and insects, while sometimes it can just be a matter of disease that might have affected your lawn. You might find bald, bare, or dead spots even in the best-tended lawns, it’s important to find the possible reason which causes them. The issue is half solved when you find the cause of bare spots in your lawn which will then lead to the correct solution. Sometimes, it might be the best bet to follow the old-school technique to figure out what causes bare spots. A thick and nice lawn requires healthy soil as a base, it might be almost impossible to change your soil’s condition once the lawn is well established. Poor soil condition is the major cause for lawns to develop a brown patch, which can be treated with “top-dressing” techniques or in simple terms add a thin layer of soil on your existing lawn. Hiring a lawn service to come and test the acidity of your lawn might be the best measure to go about determining the quality of your soil. They can then also provide advice for the best soil improvement solutions. Top-dressing can be a great benefit to your lawn, it plays a vital role to improve your soil over time and prevents bare spots from developing in the future. It’s helpful in transforming your bald or bare spots into healthy, organic, and low maintenance turf. Your four legged friends might be a good companion for you, however, they might tend to spoil your lawn through a lot of ways. Dog’s urine causes your lawn to turn yellow with bright green rings around its edges. It’s recommended that you wash off the lawn thoroughly when you notice a dog or cat urinating on your lawn. Most people like walking on lush green lawns, it might be the ideal place to take an outdoor walk. Though walking on the lawn might make you feel good or is a requirement to make your way to a shed or patio, it might hinder the growth of lawns or cause bare patches on your lawn. When people keep constantly walking on the lawn, they press down the soil and squeeze the soil particles preventing the air and water to enter through the soil. It’s suggested that you rent a punch-core aerator to prevent soil compaction, when there’s high foot traffic in certain areas of your lawn. Some prefer planting traffic-tolerant grass, which will not be killed by feet grinding their stems. You might notice a small area of lawn start to brown-out when it doesn’t have an adequate supply of water. 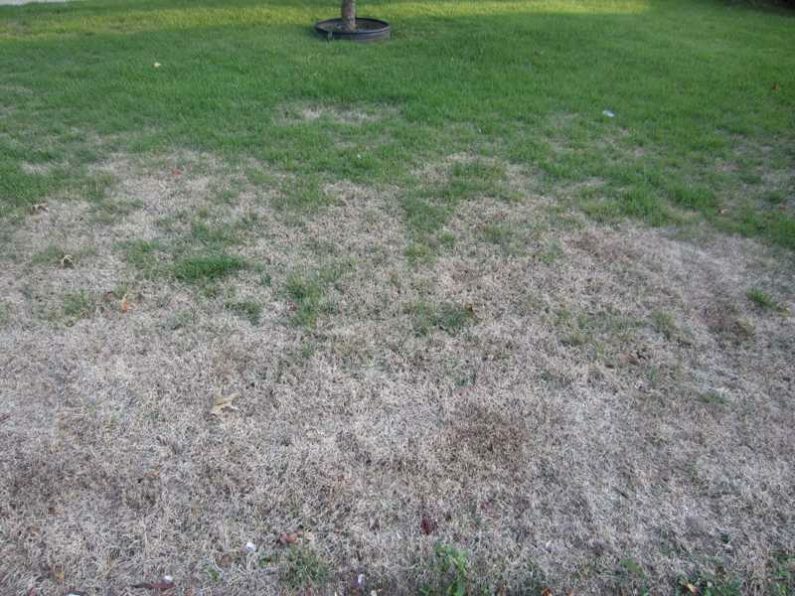 Sometimes, human negligence is the one to blame for the brown spots on your green lawn. Conventional sprinklers might not be able to reach all parts of the lawn or water-log lawns. It’s recommended that you make sure water reaches every part of the lawn evenly. 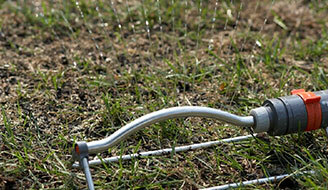 It might be the best bet to mimic nature by irrigating the lawns frequently and deeply to stimulate natural rainfall. This will enable the roots to search for water and encourage deep rooting, while lightly watered lawns result in shallow rooted plants which require water almost all the time. Some people take the easy way out by going for drought tolerant grasses which consume less water. 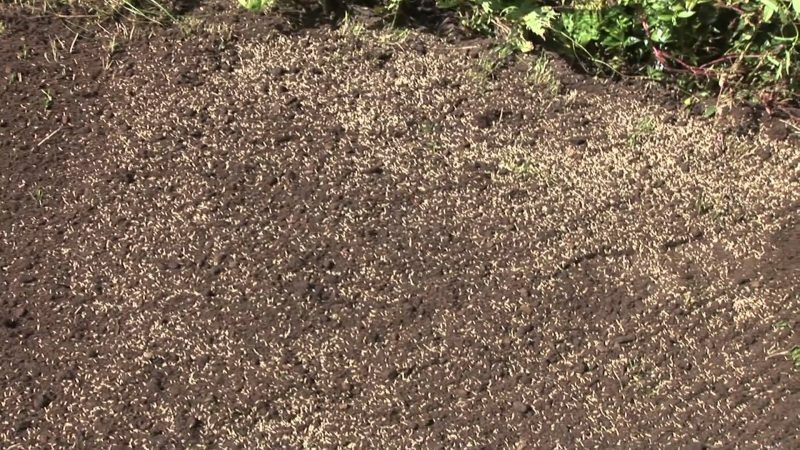 Insects or pests find your lawn to be the best home, it is possible they cause more damage to your lawn with visible signs, like brown patches and chewed-up grass blades. Fortunately, there are a lot of measures to minimize or even completely eliminate insect infestation. The first step would be to look for blades that might look eaten or notice birds feeding on these insects in your lawn. The basic measure to eradicate insects in your lawn would be to constantly nurture your lawn with an adequate supply of water, fertilizers, and constant mowing. 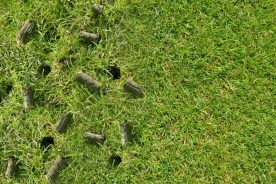 Furthermore, aerating your lawn will not only help your lawn to get a better supply of water and nutrients, it comes in handy to avoid insects from infesting your lawn. You might be so focused on keeping your lawn free from insects and pests that you tend to forget the potential danger fungus can do to your lawn. There’s a considerable development in the growth of lawn fungus despite your best efforts to avoid them, especially, during heavy rainfall. There are a variety of fungus, like fairy ring, rust, pink snow mold, and slime mold. Fairy ring fungus tends to leave a ring of dark green or dead grass formation, while slime mold ones come in white, yellow, or gray which clings to grass. The best way to protect lawn fungus is avoid watering a lot, too much water might do more harm than no water. Also keep a watch for low spots in the lawn where water might pool after rainfall. Thatch is a natural part of every turf’s growing process, regardless of how good you take care of them. Parent grass plants are replaced by the new ones over the time, they usually don’t rot soon because of a chemical compound called lignin. When they don’t rot they are likely to build up to a lot of layers until there’s too much, which is referred to as thatch. 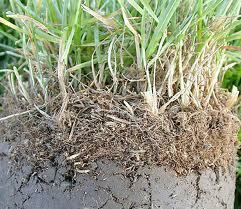 You can prevent thatch from growing in your lawn by fertilizing and watering just enough rather than overdoing it. Make sure you use a mulching mower that doesn’t lead to thatch formation, most thatches on your lawn are a result of grass roots and stems which die and don’t decompose. It’s suggested that you dethatch your lawn when there’s an excessive amount of thatch to harm your turf’s healthy growth. Most people blame fungus or insects when they find a brown spot in their green lawn, however, the problem might be with improper mowing. You might damage your lawn grass and gradually cause them to die when you cut the grass too short or tear the grass with dull mower blades. It’s recommended that you mow the grass at least every 7 days in a growing season and remember to sharpen the mower blades. The idea of mower is to cut the grass, not to tear them or damage them; you should understand the correct height of the grass and mow them accordingly. Sometimes, it’s the basic things that you might have done or overdone. A well-maintained mower can make a huge difference in the health of your lawn. The first thing you should do after figuring out the cause of bare spots is preparing the soil or area before repairing the damaged grass. Mow the bare spot and surrounding areas with a mower at a normal spring mowing level, followed by removing the damaged or dead grass and any common lawn weeds you see. 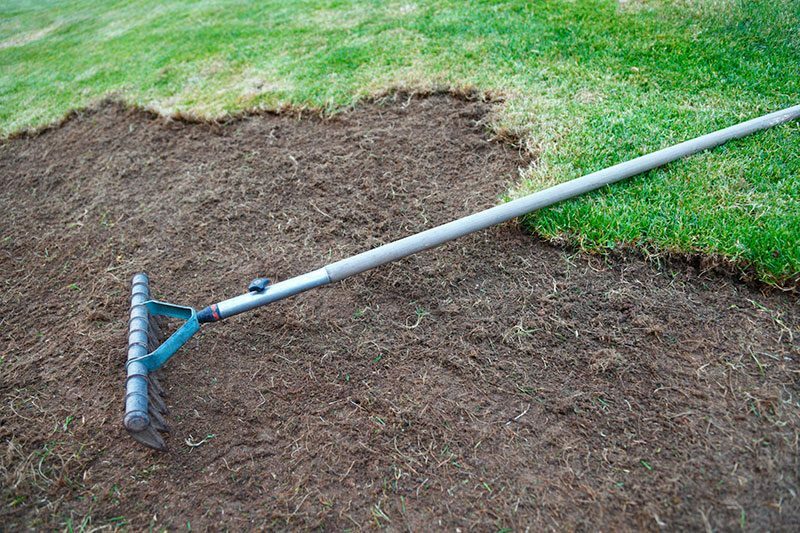 You’ll be left with clean soil after removing the unwanted grass, level the soil wherever required. It’s suggested that you smooth the soil to make it easy for the new seed to take a firm hold in the soil and spread its root deep enough. Most gardeners stress on the importance of leveling the bare spot and the surrounding area and water the area well. However, you should make sure that the soil is moist, but not completely drenched. It might be difficult to fix the bare spot in your lawn during the summer, especially, when bare spot is caused due to poor soil management. If you wish to wait until spring it might worsen the situation, you’ll find more bare patches by the end of summer or much before that. Early fall is the right time for lawn renovation and making your lawn to look good with lush grass. You might have to do a lot of research to replant the grass after preparing the area for planting. The choice of seeds is the first things to consider while replanting the grass. However, the right choice of seeds for your lawn depends on a lot of criteria, like your lifestyle, location, and budget. Some places are fortunate to get full sunlight, while others might just get partial sunlight. Some lawns are prone to foot traffic and potential damage by pets, it’s recommended that you look into these criteria before choosing the grass seed. You have the luxury to purchase the seed online or visit a local store or nursery, it’s suggested that you identify the type of turf you currently possess and choose your seed. You can either go for sod or grass seed, both comes with its own pros and cons. Sods are instant, while you have to wait it out with grass seeds. It might be the best bet to go for grass seeds over sod, grass seeds are inexpensive and you can be choosey about the quality of grass with grass seeds. Once you’re done with leveling the surfacing of the grass, it’s suggested that you sprinkle grass seed on the lawn where there are bare spots. Make sure that you don’t pile a lot of seeds but spread them evenly on the area, most people suggest perennial ryegrass over the other ones as they germinate quickly. It might be a good idea to protect the grass seeds from birds and pets using reflective tapes, there are chances for birds to eat the grass seeds. Water the area and keep the seed moist until they grow to a height of 2 to 3 inches. Allow the new grass to grow taller than the rest of the area, let them blend in with the rest of the grass in your lawn, you might have to mow a little more in these areas for 2 or 3 mowing cycles. It might take at least 2 to 7 weeks for the grass to grow from a bare spot into a green lawn, however, duration might vary depending on your region’s weather and grass type. You might end up disappointed when you notice a bare spot reappearing, all your efforts may go in vain to keep the turf green. It’s recommended that you take the precautionary measure to keep bare spots away from your well-maintained green lawn. Try to keep pets away from the lawn and wash the area thoroughly when you notice pets urinating in your lawn. It would be the best bet to choose a grass that can withstand high-footing when people frequently walk on the lawn. Water the lawn for 10 minutes once or twice a day depending on the weather condition. 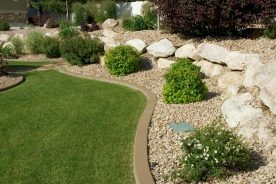 Sometimes, you might not be able to avoid bare spots regardless of how well you take care of your lawn, while you can avoid certain causes of bare spot. 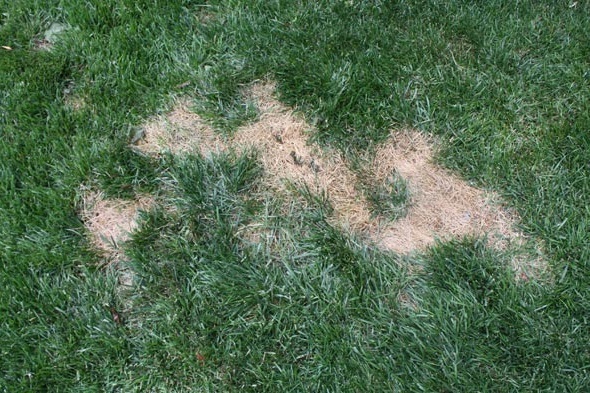 The aforementioned causes of bare spots will help you identify the reason for those unsightly spots in your lawn and find a working solution for them. You might be able to avoid or minimize bare spots by going for some alternative grass types or protecting your lawn from pets, fungus, and other possible threats. You may want to also check out the other articles in our Grass Seed 101 series, 11 Common Lawn Weeds to Destroy Before Sowing New Grass and 8 of the Most Popular Types of Grass Seed.